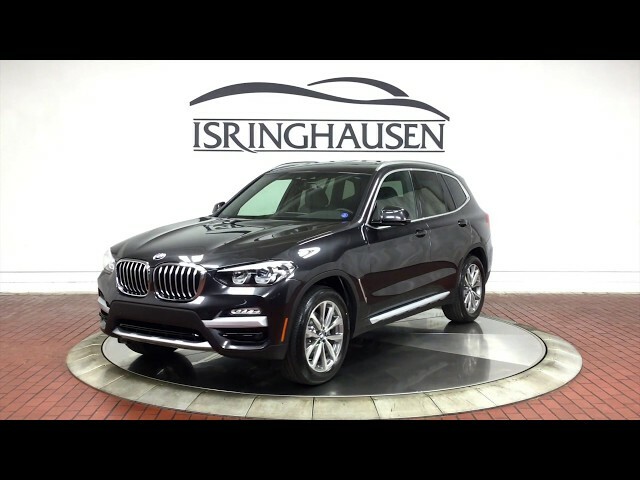 This well equipped 2019 BMW X3 in Dark Graphite Metallic comes with factory options including Driving Assistance Package, Panorama Sunroof, Navigation System, Heated Front Seats, xLine Trim with 19" Wheels and more. The all new BMW X3 offers an accommodating cabin with intelligent connections throughout and a never ending passion for performance. Contact a BMW sales specialist today to learn more by calling 877-362-9715. Isringhausen Imports is Central Illinois' premier new car, used car and certified pre-owned (CPO) dealership for quality BMW, Porsche, Volvo and Mercedes-Benz vehicles. At Isringhausen Imports, we have become a leader in the industry by working each day towards the greater good of our customers, our fellow employees, and our community.